Edit: My guild and alliance members are getting in on Pink for Tink too! Hey you, kid in the gray shirt! Way back in my first or second week of seventh grade, my tiny self was out on the soccer field during gym with my equally tiny peers. Suddenly, a girl yelled out, “Hey you, kid in the gray shirt!” to get the attention of one of the other students. Problem was, we were all wearing the same gray shirts. I spend an inordinate amount of time trying to pick names for any toon I create in Warhammer. If after an hour I still can’t come up with a name that just fits the archmage I’m trying to make, I don’t play that archmage until I do. No random name generator for me, no sir. Sometimes I read through lists of names online until I find one that sticks with me. Most of the time though the names I choose have some sort of meaning behind them for me. Take my main toon, my Witch Elf Satsume. I had been asked before by an alliance mate if I was one of those people obsessed with Asian culture, explaining my name choice. While I do have an affinity for such things (my fiancé is half Korean after all…) the name Satsume has nothing to do with it. Satsume’s name before the great Vortex migration was Satsuma. 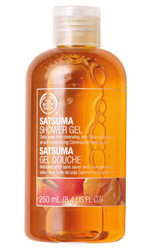 As in, the name of the shower gel I bought from The Body Shop the summer after I graduated from high school. It smells amazing and I love it, so I gave the name to my Witch Elf when I bought WAR a few months later. Same goes for my Shaman, Scarlets, and my Black Orc, Swoon. Scarlets is a play on my own name, a joke at how many times people have called me Scarlet instead of Charlotte. Swoon is the name of an awesome artist. Plus, you have to admit Swoon is a funny name for a Blorc. How about you guys? Do the names you pick for your toons have any special meaning or history behind them? Or do you go with the name generator and cross your fingers? So, my first week as guild leader was rather, uh, interesting. Recruited four people into the guild, one of which brought an alt with him. Another asked if I could invite his friend too, bringing the total to five! Guild ranks have been fixed up and the officer alts now have their own classification. Promoted a long-time guild member to officer. I could have sworn he had been one before. He helped me fix up the guild ranks and came up with the names. Cleaned up and organized the guild vault with the help of another guild officer. Now you can actually find things! Took part in alliance discussions, culminating in three guilds joining the alliance. Lost about 20 toons, mostly due to an officer doing a much needed inactivity purge. However, I also lost several people because they took offense at the actions of some alliance members. Still on good terms with one of them though. Three officers are spending more of their time playing WoW than WAR. A previous guild leader tried asking me to give him leadership. The resulting exchange that occurred means I won’t be /waving at him for a while. There you have it, my first week as a guild leader. Still learning as I go along, but my alliance and two of my officers are really helping me out.